As he kept falling, to his surprise, that heavy oppressive dream came back. A yellow lamp with a flame flickering anxiously inside a skull. It doesn’t light anything except itself and a yellow circle of dust swirling around it. He dreams that he is lying curled up in a damp, freezing building, his head between his knees. He pushes aside the grey cocoon he is wrapped in. As his eyes become accustomed to the dim light, as if through a veil, he can see cracked wooden beams crossing above his head unfathomably in all directions. On a suspended platform, people are lying in a tight row, left side up, warming each other in their laps. But he is no longer a link in this chain; he is lying opposite, by a broken window covered in white frost. With a start, he opened his eyes, and the tormenting illusion disappeared. How long had he been sleeping? He stood up in the lift cage and immediately remembered the previous day. He eagerly grasped the grille as if he wanted to preserve this reality that had preceded that terrible dream with a yellow lamp in the middle of a hollow skull. He felt a painful desire in anticipation of what was to come. With astonishment, he remembered that he was invisible and stepped out of the lift. He walked through a narrow passage, down several steps, opened a cast iron gate – and found himself in a street. Two rows of buildings, shop signs and pavements. Only one thing was missing here, something that belongs to every street, although nobody notices it… the sky. Instead of the sky, there was a high vaulted ceiling made from a single piece of glass. Underneath it a massive globe glowed, white and unbearable like the sun at its zenith. Windows and people. Endless rows of windows and people. 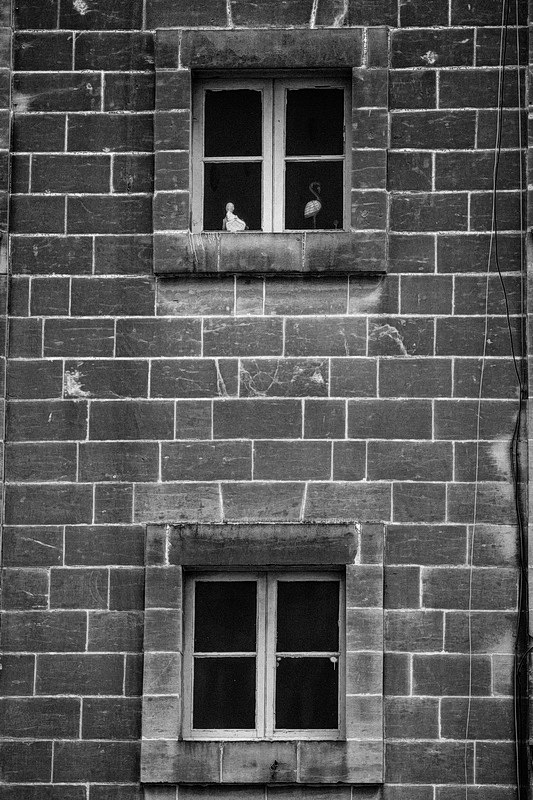 Windows that were silent and windows that shout, windows surprised and tearful, enigmatic, yawning with boredom, windows, windows, windows – beckoning, luring, laughing and weeping. And among them a multi-coloured, effervescent crowd of people rushing in all directions, circulating ceaselessly, a mixture of all human races. The colours of their clothes, skin, eyes and hair all mingle; voices come out of thousands of mouths as if from the pipes of an organ that had escaped from a burning cathedral. And just as the sky and sun above their heads are both fake, it seems to Brok that all those people, strutting and shouting, have something phoney and monstrously artificial about them. The faces of the men are clean-shaven or covered with beards of various shapes and styles, but many of these appear to Brok to be false, glued on.